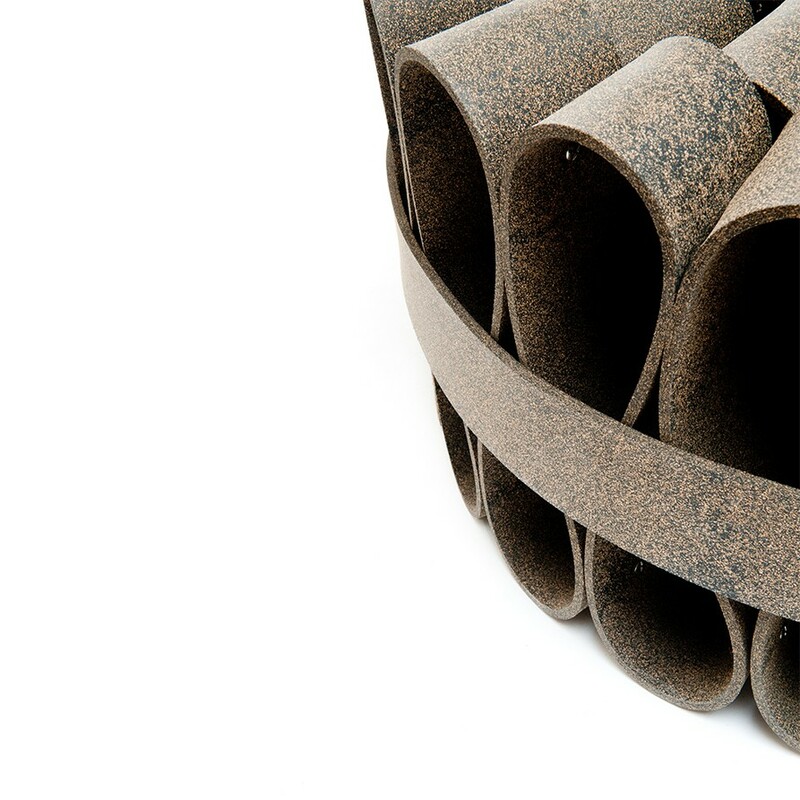 Puf String is a playful seat taking to the limit the plastic and visual possibilities of rubber cork (a special cork composite with natural rubber). 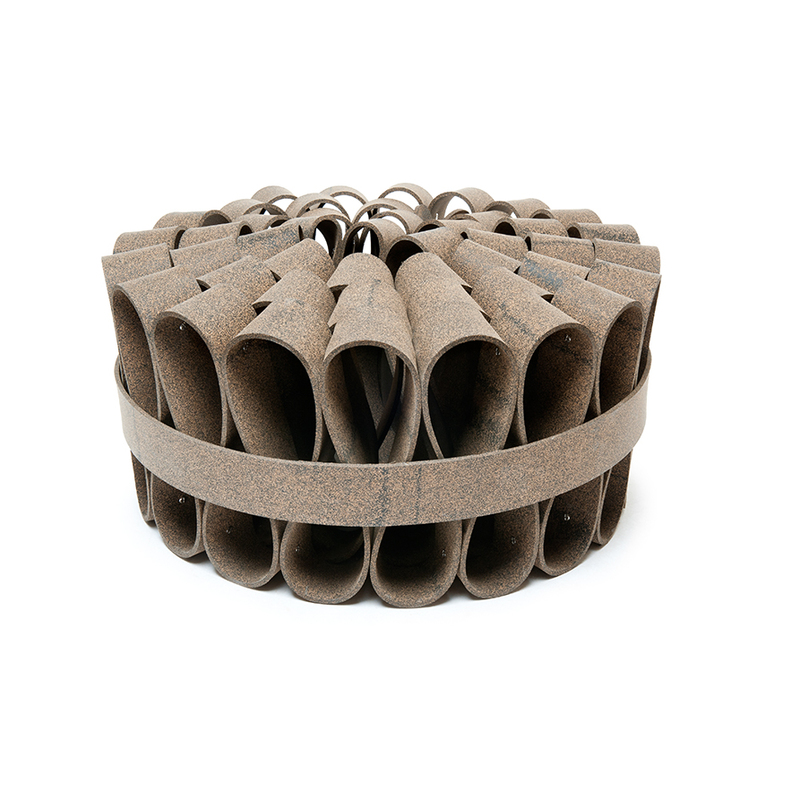 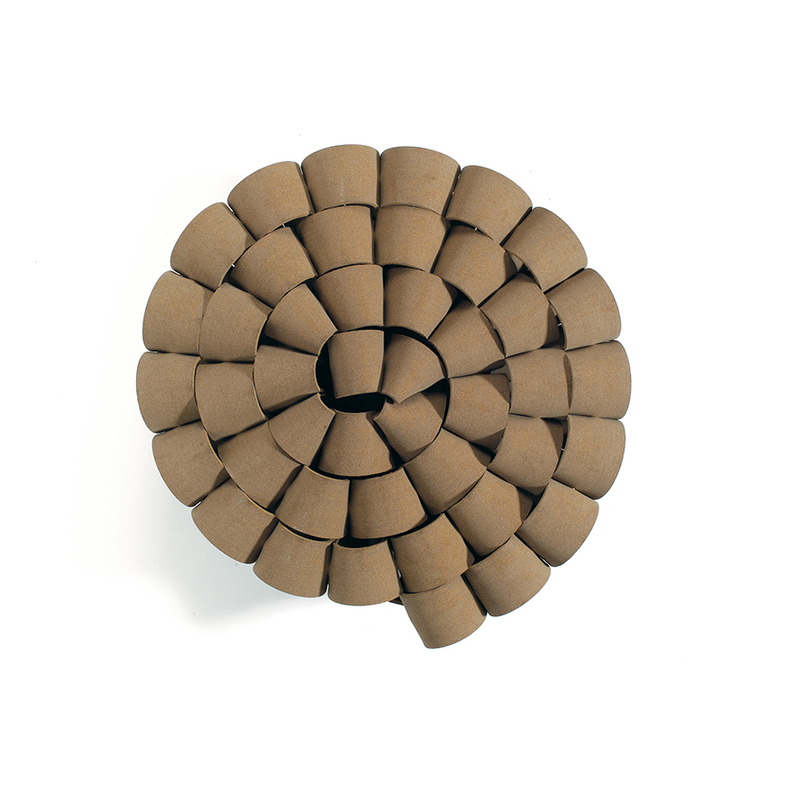 The Puf string is shaped like a wave using joint screws as assembly and is fasten with a rubber cork belt strip. 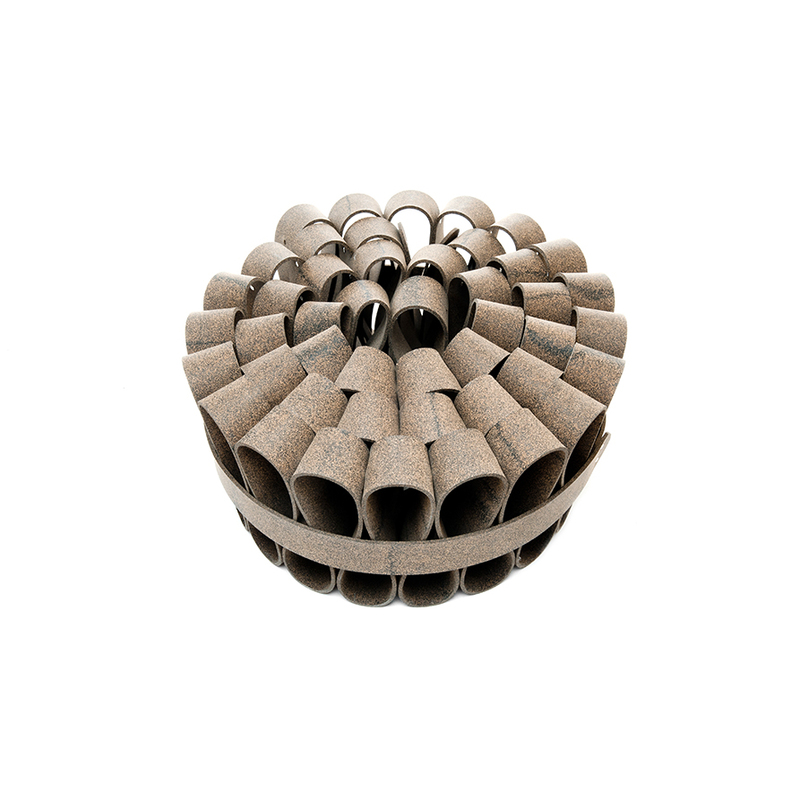 The final result is an original piece, benefiting from the rubber cork characteristics.